Everything you need to rig your kayak with a Fish Finder. The essential piece of kit for Kayak Fishing! Cornwall Canoes stock a wide range of the most popular fish finders for kayak fishing. The models we stock are units that our staff test and use on their own fishing kayaks and recommend the most from their own experiences. We stock everything you will need to mount, install and run a Fish Finder on your Kayak. Please select the individual Fish Finder pages for more info and recommended hardware for that specific unit. Want the lowdown on what you need to install a Fish Finder to your kayak? Check out our Buyers Guide for all the info you will need! An easy to use fish finder with wide-angle broadband sonar and 4 inch colour screen. A great unit for kayak fishing and all at a great price! 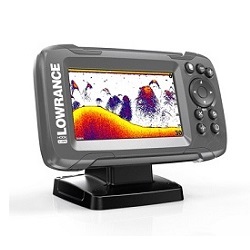 Includes the Lowrance Bullet Transducer. An easy to use fish finder with wide-angle broadband sonar, a simple GPS chartplotter and 4 inch colour screen. Superb value for money. 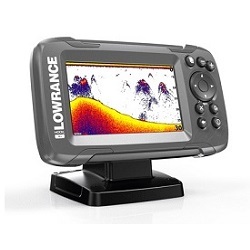 Includes the Lowrance Bullet Transducer. An easy to use fish finder with wide-angle broadband sonar and DownScan Imaging for great fish detection and bottom structure imaging. Features a simple GPS plotter and 5 inch colour screen. 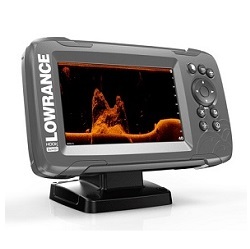 Includes the Lowrance SplitShot Transducer. An easy to use fish finder with High CHIRP sonar and DownScan Imaging for excellent fish detection and high-detail bottom structure imaging. The unit includes a full GPS chartplotter and 5 inch colour screen. 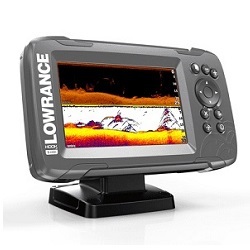 Includes the Lowrance SplitShot Transducer. 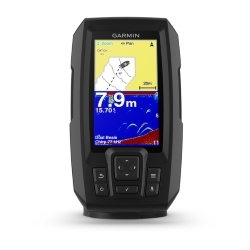 The Striker 4 features a colour 3.5" display and CHIRP Sonar fish finding technology. Also includes a basic GPS chartplotter. Excellent performance at great value! The Striker Plus 4 features a colour 4.3" display and CHIRP Sonar fish finding technology. 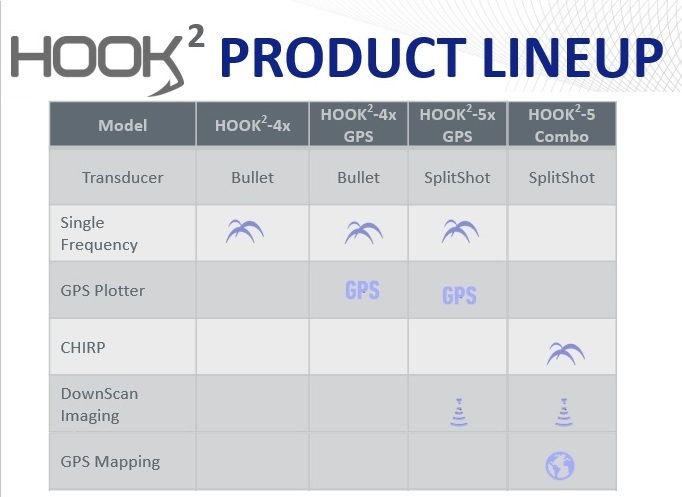 Includes a basic GPS chartplotter with built-in Garmin Quickdraw™ Contours mapping software that lets you create and store maps with 1-foot contours. 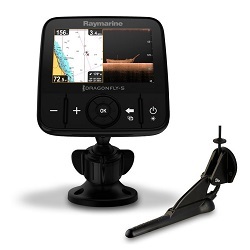 The Raymarine Dragonfly 5-PRO features the latest technology including CHIRP Sonar, DownVision, WiFi and an integrated GPS Chartplotter, all displayed on a large bright 5" screen. If you want the a top specfish finder for your kayak, this is the fish finder for you. The Raymarine Dragonfly 4-PRO is a compact unit loaded with all the latest technology to find you fish! A feature-packed fish finder using the latest CHIRP Sonar and Downvision technology, all displayed on a bright and clear screen. 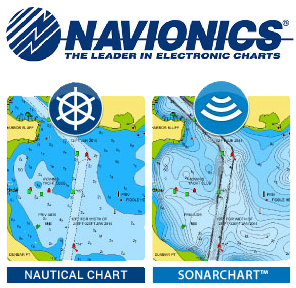 Navionics+ cards provide high-definition nautical and sonar charts for your chartplotter. With high-detail maps of the seabed at your fingertips you can pinpoint those fishy looking marks and navigate yourself to them easily. 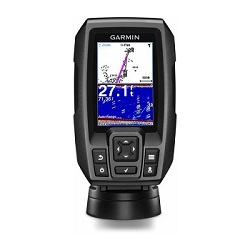 A great addition to any fishfinder/chartplotter unit!